The Northern Territory (abbreviated as NT) is a federal Australian territory in the central and central northern regions of Australia. It shares borders with Western Australia to the west (129th meridian east), South Australia to the south (26th parallel south), and Queensland to the east (138th meridian east). To the north, the territory is bordered by the Timor Sea, the Arafura Sea and the Gulf of Carpentaria. Despite its large area—over 1,349,129 square kilometres (520,902 sq mi), making it the third largest Australian federal division—it is sparsely populated. The Northern Territory's population of 244,000 (2016) makes it the least populous of Australia's eight major states and territories, having fewer than half as many people as Tasmania. The archaeological history of the Northern Territory begins over 40,000 years ago when Indigenous Australians settled the region. Makassan traders began trading with the indigenous people of the Northern Territory for trepang from at least the 18th century onwards. The coast of the territory was first seen by Europeans in the 17th century. The British were the first Europeans to attempt to settle the coastal regions. After three failed attempts to establish a settlement (1824–1828, 1838–1849, and 1864–66), success was achieved in 1869 with the establishment of a settlement at Port Darwin. Today the economy is based on tourism, especially Kakadu National Park in the Top End and the Uluru-Kata Tjuta National Park (Ayers Rock) in central Australia, and mining. The capital and largest city is Darwin. The population is concentrated in coastal regions and along the Stuart Highway. The other major settlements are (in order of size) Palmerston, Alice Springs, Katherine, Nhulunbuy, and Tennant Creek. Residents of the Northern Territory are often known simply as "Territorians" and fully as "Northern Territorians", or more informally as "Top Enders" and "Centralians". Indigenous Australians have lived in the present area of the Northern Territory for an estimated 40,000 years, and extensive seasonal trade links existed between them and the peoples of what is now Indonesia for at least five centuries. With the coming of the British, there were four early attempts to settle the harsh environment of the northern coast, of which three failed in starvation and despair. The Northern Territory was part of colonial New South Wales from 1825 to 1863, except for a brief time from February to December 1846, when it was part of the short-lived colony of North Australia. It was part of South Australia from 1863 to 1911. 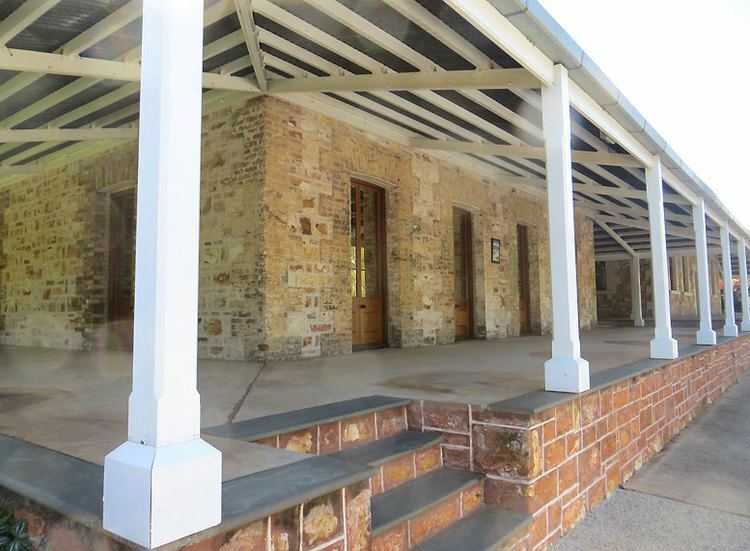 Under the administration of colonial South Australia, the overland telegraph was constructed between 1870 and 1872. A railway was also built between Palmerston and Pine Creek between 1883 and 1889. The economic pattern of cattle raising and mining was established so that by 1911 there were 513,000 cattle. Victoria River Downs was at one time the largest cattle station in the world. Gold was found at Grove Hill in 1872 and at Pine Creek, Brocks Creek, Burrundi, and copper was found at Daly River. On 1 January 1911, a decade after federation, the Northern Territory was separated from South Australia and transferred to Commonwealth control. Alfred Deakin opined at this time "To me the question has been not so much commercial as national, first, second, third and last. Either we must accomplish the peopling of the northern territory or submit to its transfer to some other nation." In late 1912 there was growing sentiment that the name "Northern Territory" was unsatisfactory. The names "Kingsland" (after King George V and to correspond with Queensland), "Centralia" and "Territoria" were proposed with Kingsland becoming the preferred choice in 1913. However, the name change never went ahead. For a brief time between 1927 and 1931 the Northern Territory was divided into North Australia and Central Australia at the 20th parallel of South latitude. Soon after this time, parts of the Northern Territory were considered in the Kimberley Plan as a possible site for the establishment of a Jewish Homeland, understandably considered the "Unpromised Land". During World War II, most of the Top End was placed under military government. This is the only time since Federation that part of an Australian state or territory has been under military control. After the war, control for the entire area was handed back to the Commonwealth. The Bombing of Darwin occurred on 19 Feb 1942. It was the largest single attack ever mounted by a foreign power on Australia. Evidence of Darwin’s World War II history is found at a variety of preserved sites in and around the city, including ammunition bunkers, airstrips, oil tunnels and museums. Indigenous Australians had struggled for rights to fair wages and land. An important event in this struggle was the strike and walk off by the Gurindji people at Wave Hill Cattle Station in 1966. The Commonwealth Government of Gough Whitlam set up the Woodward Royal Commission in February 1973, which set to enquire into how land rights might be achieved in the Northern Territory. Justice Woodward's first report in July 1973 recommended that a Central Land Council and a Northern Land Council be established to present to him the views of Aboriginal people. In response to the report of the Royal Commission a Land Rights Bill was drafted, but the Whitlam Government was dismissed before it was passed. The Aboriginal Land Rights (Northern Territory) Act 1976 was eventually passed by the Fraser Government on 16 December 1976 and began operation on the following Australia Day (26 January 1977). In 1974, from Christmas Eve to Christmas Day, the city of Darwin, Northern Territory, was devastated by tropical Cyclone Tracy. Cyclone Tracy killed 71 people, caused A$837 million in damage (1974 dollars), or approximately A$4.45 billion (2014 dollars), and destroyed more than 70 percent of Darwin's buildings, including 80 per cent of houses. Tracy left more than 41,000 out of the 47,000 inhabitants of the city homeless. The city was rebuilt with much improved construction codes and is a modern, landscaped metropolis today. In 1978 the Territory was granted responsible government, with a Legislative Assembly headed by a Chief Minister. The Administrator of the Northern Territory is an official acting as the Queen's indirect representative in the Territory. During 1995–6 the Northern Territory was briefly one of the few places in the world with legal voluntary euthanasia, until the Federal Parliament overturned the legislation. Before the over-riding legislation was enacted, four people used the law supported by Dr. Philip Nitschke. There are many very small settlements scattered across the territory, but the larger population centres are located on the single paved road that links Darwin to southern Australia, the Stuart Highway, known to locals simply as "the track". The Northern Territory is also home to two spectacular natural rock formations, Uluru (Ayers Rock) and Kata Tjuta (The Olgas), which are sacred to the local Aboriginal peoples and which have become major tourist attractions. 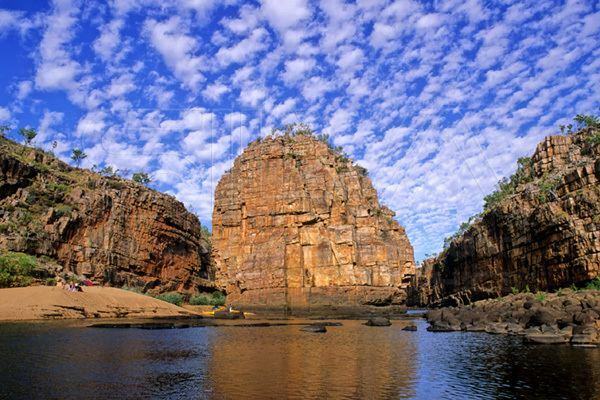 In the northern part of the Territory lies Kakadu National Park, which features breathtaking wetlands and native wildlife. To the north of that lies the Arafura Sea, and to the east lies Arnhem Land, whose regional centre is Maningrida on the Liverpool River delta. There is an extensive series of river systems in the Northern Territory. These rivers include: the Alligator Rivers, Daly River, Finke River, McArthur River, Roper River, Todd River and Victoria River. The Northern Territory has two distinctive climate zones. The northern end, including Darwin, has a tropical climate with high humidity and two seasons, the wet (October to April) and dry season (May to September). During the dry season nearly every day is warm and sunny, and afternoon humidity averages around 30%. There is very little rainfall between May and September. In the coolest months of June and July, the daily minimum temperature may dip as low as 14 °C (57 °F), but very rarely lower, and frost has never been recorded. The wet season is associated with tropical cyclones and monsoon rains. The majority of rainfall occurs between December and March (the southern hemisphere summer), when thunderstorms are common and afternoon relative humidity averages over 70% during the wettest months. On average more than 1,570 mm (62 in) of rain falls in the north. Rainfall is highest in north-west coastal areas, where rainfall averages from 1,800–2,100mm (72–84 in). The central region is the desert centre of the country, which includes Alice Springs and Ayers Rock, and is semi-arid with little rain usually falling during the hottest months from October to March. Central Australia receives less than 250 mm (9.8 in) of rain per year. The highest temperature recorded in the territory was 48.3 °C (118.9 °F) at Finke on 1 and 2 January 1960. The lowest temperature was −7.5 °C (18.5 °F) at Alice Springs on 17 July 1976. The Northern Territory Parliament is one of the three unicameral parliaments in the country. Based on the Westminster System, it consists of the Northern Territory Legislative Assembly which was created in 1974, replacing the Northern Territory Legislative Council. The Northern Territory Legislative Council was the partly elected governing body from 1947 until its replacement by the fully elected Northern Territory Legislative Assembly in 1974. The total enrolment for the 1947 election was 4,443. The Northern Territory was split into five electorates: Darwin, Alice Springs, Tennant Creek, Batchelor, and Stuart. Whilst this assembly exercises similar powers as the governments of the states of Australia, it does so by legislated devolution of powers from the Commonwealth Government, rather than by any constitutional right. As such, the Commonwealth Government retains the right to legislate for the Territory, including the power to override legislation passed by the Legislative Assembly. The Monarch is represented by the Administrator of the Northern Territory, who performs a role similar to that of a state governor. Twenty-five members of the Legislative Assembly are elected to four-year terms from single-member electorates. For several years there has been agitation for full statehood. A referendum of voters in the Northern Territory was held on the issue in 1998, which resulted in a 'no' vote. This was a shock to both the Northern Territory and Commonwealth governments, for opinion polls showed most Territorians supported statehood. However, under the Australian Constitution, the Federal Government may set the terms of entry to full statehood. The Northern Territory was offered three Senators, rather than the twelve guaranteed to original states. (Because of the difference in populations, equal numbers of Senate seats would mean a Territorian's vote for a Senator would have been worth more than 30 votes in New South Wales or Victoria.) Alongside what was cited as an arrogant approach adopted by then Chief Minister Shane Stone, it is believed that most Territorians, regardless of their general views on statehood, were reluctant to adopt the particular offer that was made. The Chief Minister of the Northern Territory is the head of government of a self-governing territory, while the head of government of a state is a Premier. The Chief Minister is appointed by the Administrator of the Northern Territory, who in normal circumstances will appoint the leader of whichever party holds the majority of seats in the Northern Territory Legislative Assembly. The current Chief Minister of the Northern Territory is Michael Gunner of the Australian Labor Party. He replaced Adam Giles on 31 August 2016. The Northern Territory received self-government on 1 July 1978 under its own Administrator of the Northern Territory appointed by the Governor-General of Australia. The Commonwealth government, not the Government of the Northern Territory, advises the governor-general on appointment of the Administrator, but by convention, consults first with the Territory Government. The current Administrator is John Hardy. The Northern Territory is represented in the Commonwealth parliament by two Members in the House of Representatives and two members in the Senate. As of September 2016, resulting from the 2016 federal election, Warren Snowdon from the Australian Labor Party (ALP) and Luke Gosling from the Australian Labor Party (ALP) serve in the House of Representatives, and Malarndirri McCarthy from the ALP and Nigel Scullion from the CLP serve in the Senate. The Northern Territory is divided into 17 local government areas, including 11 shires and five municipalities. Shire, city and town councils are responsible for functions delegated by the Northern Territory parliament, such as road infrastructure and waste management. Council revenue comes mostly from property taxes and government grants. Aboriginal land councils in the Northern Territory are groups of Aboriginal landowners, set up under the Aboriginal Land Rights Act. The two dominant political parties in the Northern Territory are the conservative Country Liberal Party, and the social-democratic Australian Labor Party. Minor parties that are also active in the NT are the Northern Territory Greens, Palmer United Party and Australia's First Nations Political Party. In the 2016 NT elections only two CLP representatives were elected (MLAs Higgins and Finocchiaro) plus five independents. This makes the parliamentary status of the CLP as a major party a matter of interest. The population of the Northern Territory at the 2011 Australian census was 211,945, a 10 per cent increase from the 2006 census. The Australian Bureau of Statistics estimated a June 2015 resident population of 244,300, taking into account residents overseas or interstate. The Territory's population represents 1% of the total population of Australia. The Northern Territory's population is the youngest in Australia and has the largest proportion (23.2%) under 15 years of age and the smallest proportion (5.7%) aged 65 and over. The median age of residents of the Northern Territory is 31 years, six years younger than the national median age. More than 100 nationalities are represented in the Northern Territory's population, including more than 50 organisations representing different ethnic groups. The 2011 Census revealed that the most common ancestries in Northern Territory were Australian 23.9%, English 19.4%, Australian Aboriginal 14.7%, Irish 6.2% and Scottish 5.1%. In terms of birthplace, according to the 2011 census 25.4% of the population were born overseas. 2.5% of Territorians were born in England, 1.9% in New Zealand, 1.7% in Philippines, 0.9% in India and 0.5% in the United States. Indigenous Australians own some 49% of the land. The life expectancy of Aboriginal Australians is well below that of non-Indigenous Australians in the Northern Territory, a fact that is mirrored elsewhere in Australia. ABS statistics suggest that Indigenous Australians die about 11 years earlier than the average Australian. There are Aboriginal communities in many parts of the territory, the largest ones being the Pitjantjatjara near Uluru, the Arrernte near Alice Springs, the Luritja between those two, the Warlpiri further north, and the Yolngu in eastern Arnhem Land. More than 54% of Territorians live in Darwin, located in the territory's north (Top End). Less than half of the territory's population live in the rural Northern Territory. In the 2011 census Roman Catholics form the single largest religious group in the territory with 19.7% of the Northern Territory's population, followed by Anglican (10.6%), Uniting Church (10.1%) and Lutheran (7%). Buddhism is the territory's largest non-Christian religion (0.8%), followed by Hinduism (0.4%) and Islam (0.3%). Around 20% of Territorians do not profess any religion. Many Aborigines practice their traditional religion, the belief in the Dreamtime. There are more than 100 Aboriginal languages spoken in the Northern Territory, in addition to English which is most common in cities such as Darwin or Alice Springs. Major indigenous languages spoken in the Northern Territory include Murrinh-patha and Ngangikurrungurr in the northwest around Wadeye, Warlpiri and Warumungu in the center around Tennant Creek, Arrernte around Alice Springs, Pintupi-Luritja to the south east, Pitjantjatjara in the south near Uluru, Yolngu Matha to the far north in Arnhem Land (where the dialect Djambarrpuyngu of Dhuwal is considered a lingua franca), and Burarra, Maung, Iwaidja and Gunwinggu in the center north and on Croker Island and the Goulburn Islands. Tiwi is spoken on Melville Island and Bathurst Island. Literature in many of these languages is available in the Living Archive of Aboriginal Languages. A Northern Territory school education consists of six years of primary schooling, including one transition year, three years of middle schooling, and three years of secondary schooling. In the beginning of 2007, the Northern Territory introduced Middle School for Years 7–9 and High School for Years 10–12. Northern Territory children generally begin school at age five. On completing secondary school, students earn the Northern Territory Certificate of Education (NTCE). Students who successfully complete their secondary education also receive a tertiary entrance ranking, or ENTER score, to determine university admittance. An International Baccalaureate is offered at one school in the Territory – Kormilda College. Northern Territory schools are either publicly or privately funded. Public schools, also known as state or government schools, are funded and run directly by the Department of Education. Private fee-paying schools include schools run by the Catholic Church and independent schools, some elite ones similar to English public schools. Some Northern Territory Independent schools are affiliated with Protestant, Lutheran, Anglican, Greek Orthodox or Seventh-day Adventist churches, but include non-church schools and an Indigenous school. As of 2009, the Northern Territory had 151 public schools, 15 Catholic schools and 21 independent schools. 39,492 students were enrolled in schools around the Territory with 29,175 in public schools, and 9,882 in independent schools. The Northern Territory has about 4,000 full-time teachers. The Northern Territory has one university. Northern Territory University (now called Charles Darwin University) opened in 1989. Charles Darwin University had about 19,000 students enrolled: about 5500 higher education students and about 13500 students on vocational education and training (VET) courses. The first tertiary institution in the territory was the Batchelor Institute of Indigenous Tertiary Education (established in the mid-1960s). The Northern Territory Library is the Territory's research and reference library. It is responsible for collecting and preserving the Northern Territory documentary heritage and making it available through a range of programs and services. Material in the collection includes books, newspapers, magazines, journals, manuscripts, maps, pictures, objects, sound and video recordings and databases. The Northern Territory's economy is largely driven by mining, which is concentrated on energy producing minerals, petroleum and energy and contributes around $2.5 billion to the gross state product and employs over 4,600 people. Mining accounts for 14.9% of the gross state product in 2014-15 compared to just 7% nationally. In recent years, largely due to the effect of major infrastructure projects and mine expansions, construction has overtaken mining as the largest single industry in the Territory. Construction, mining and manufacturing, and government and community services, combine to account for about half of the Territory's gross state product (GSP), compared to about a third of national gross domestic product (GDP). The economy has grown considerably over the past decade, from a value of $15 billion in 2004-05 to over $22 billion in 2014-15. In 2012-13 the Territory economy expanded by 5.6%, over twice the level of national growth, and in 2014-15 it grew by 10.5%, four times the national growth rate. Between 2003 and 2006 the gross state product had risen from $8,670 million to $11,476 million and increase of 32.4%. During the three years to 2006-2007 the Northern Territory gross state product grew by an average annual rate of 5.5%. 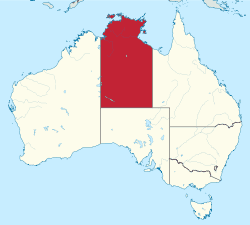 Gross state product per capita in the Northern Territory ($72,496) is higher than any Australian state or territory and is also higher than the gross domestic product per capita for Australia ($54,606). The Northern Territory's exports were up 12.9% or $681 million in 2012-13. The largest contributor to the territory's exports was: mineral fuels (largerly LNG), crude materials (mainly mineral ores) and food and live animals (primarily live cattle). The main international markets for Territory exports are Japan, China, Indonesia, the United States and Korea. Imports to the Northern Territory totalled $2,887.8 million which consisted of mainly machinery and equipment manufacturing (58.4%) and petroleum, coal, chemical and associated product manufacturing (17.0%). The principal mining operations are bauxite at Gove Peninsula where the production is estimated to increase 52.1% to $254 million in 2007–08, manganese at Groote Eylandt, production is estimated to increase 10.5% to $1.1 billion which will be helped by the newly developed mines include Bootu Creek and Frances Creek, gold which is estimated to increase 21.7 per cent to $672 million at the Union Reefs plant and uranium at Ranger Uranium Mine. Tourism is an important economic driver for the Territory and a significant industry in regional areas. Iconic destinations such as Uluru and Kakadu make the Northern Territory a popular destination for domestic and international travellers. Diverse landscapes, waterfalls, wide open spaces, aboriginal culture and wild and untamed wildlife provides the opportunity for visitors to immerse themselves in the natural wonder that the Northern Territory offers. In 2015, the Territory received a total of about 1.6 million domestic and international visitors contributing an estimated $2.0 billion to the local economy. Holiday visitors made up the majority of total visitation (about 792,000 visitors). Tourism has strong links to other sectors in the economy including accommodation and food services, retail trade, recreation and culture, and transport. The Territory's current marketing campaign is 'Do the NT'. The Northern Territory is the most sparsely populated state or territory in Australia. From its establishment in 1869 the Port of Darwin was the major Territory supply for many decades. It was damaged in the 1942 Japanese air raids and subsequently restored. In the late 1960s improved roads in adjoining States linking with the Territory, port delays and rapid economic development led to uncertainty in port and regional infrastructure development. As a result of the Commission of Enquiry established by the Administrator, port working arrangements were changed, berth investment deferred and a port masterplan prepared. Extension of rail transport was then not considered because of low freight volumes. Today the NT has a well connected network of sealed roads, including two National Highways, linking with adjoining States and connecting the major Territory population centres, and other important centres such as Uluru (Ayers Rock), Kakadu and Litchfield National Parks. The Stuart Highway, once known as "The Track", runs north to south, connecting Darwin and Alice Springs to Adelaide. Some of the sealed roads are single lane bitumen. Many unsealed (dirt) roads connect the more remote settlements. 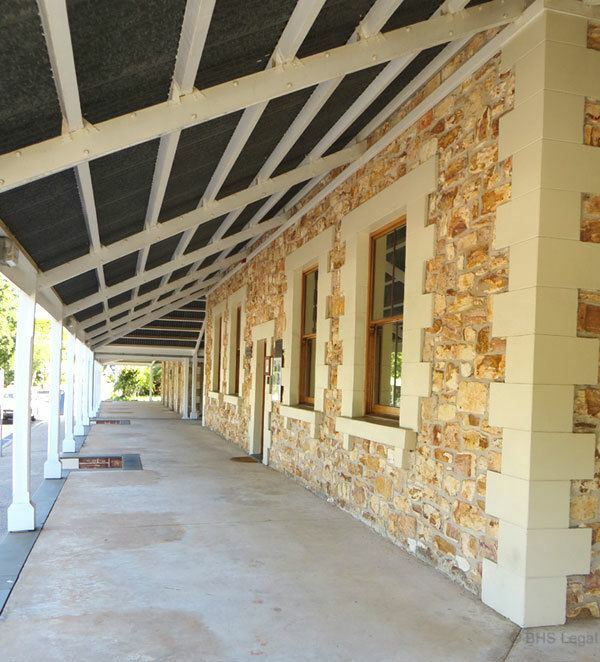 The Adelaide–Darwin railway, a new standard gauge railway, connects Adelaide via Alice Springs with Darwin, replacing earlier narrow gauge railways which had a gap between Alice Springs and Birdum. The Ghan passenger train runs from Darwin to Adelaide, stopping at Katherine, Tennant Creek, Alice Springs and Kulgera in the NT. The Northern Territory is one of the few remaining places in the world with no speed restrictions on select public roads. On 1 January 2007 a default speed limit of 110 km/h was introduced on roads outside of urban areas (Inside urban areas of 40, 50 or 60 km/h). Speeds of up to 130 km/h are permitted on some major highways, such as the Stuart Highway. On 1 February 2014, the speed limit was removed on a 204 km portion of the Stuart Highway for a one-year trial period.Darwin International Airport is the major domestic and international airport for the territory. Several smaller airports are also scattered throughout the Territory and are served by smaller airlines; including Alice Springs Airport, Ayers Rock Airport, Katherine Airport and Tennant Creek Airport. The Northern Territory has only one daily tabloid newspaper, News Corporation's Northern Territory News, or NT News. The Sunday Territorian is the sister paper to the NT News and is the only dedicated Sunday tabloid newspaper in the Northern Territory. The Centralian Advocate is circulated around the Alice Springs region twice a week. There are also five weekly community newspapers. The Territory receives the national daily, The Australian, while the Sydney Morning Herald, The Age and the Guardian Weekly are also available in Darwin. Katherine's paper is the Katherine Times. The leading community stations are 104.1 Territory FM, and Radio Larrakia (8KNB). The radio stations in Alice Springs are also broadcast on the AM and FM frequencies. ABC stations include Triple J (94.9FM), ABC Classic FM (97.9FM), 783 ABC Alice Springs (783AM) and ABC Radio National (99.7FM). There are two community stations in the town--CAAMA (100.5FM) and 8CCC (102.1FM). The commercial stations, which are both owned by the same company are Sun 96.9 (96.9FM) and 8HA (900AM). Two additional stations, Territory FM (98.7FM) and Radio TAB (95.9FM) are syndicated from Darwin and Brisbane respectively.